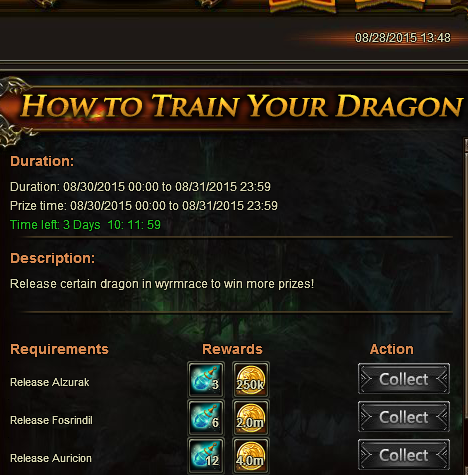 North America Forum»Forum ›League of Angels ›Bugs › How to train your dragon hot events bug. How to train your dragon hot events bug. My how to train your dragon hot events is not working for gold dragon. I will post two pictures proving my claims. my ign and server is Chrislord101 and Sphinx 336. Having same issue on Apollo987. 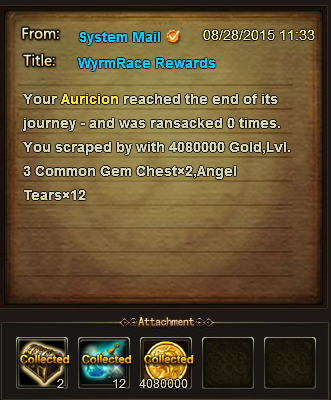 ;Cannot collect for Fos or for raiding 10 times. wow guys if you all read the dates that its actually on you\'d have less grey hair. 2019-4-21 12:59 GMT+8 , Processed in 0.073571 second(s), 52 queries .